If you want a good balance between something that’s so simple to use that it’s boring and something that’s so fun it’s impractical (and pricey), the Verizon GizmoWatch is a great choice for your kids. It takes all the simple communication power of a cell phone and combines it with kid-friendly colors, bright picture icons, and amusing games. The GizmoWatch also had some of the fewest connectivity issues of any of the devices we reviewed. And because it’s wearable, your child will always have it with them, unlike devices like the Relay or standard cell phones. Those two factors put it at the top of our list for reliability as well. When it comes to safety, we love the full control the GizmoWatch app offers. The watch basically has parental control software built right in. Not that you’ll need to worry—the GizmoWatch can’t connect to the internet, and the only people your child can contact are the ones you set, so they’ll stay safe from predators and bullies. The Verizon GizmoWatch earned our top spot because it’s perfect for both kids and parents. 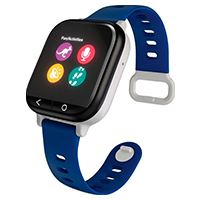 The watch design makes it comfortable and convenient for your child to wear, and the large, clear icons are simple enough that even a three-year-old can figure out how to make and answer calls from the contact list you set. The built-in GPS locator and geofencing are a huge plus when it comes to your peace of mind, and the accompanying app for your smartphone makes it easy for you to control the settings on your child’s watch. The watch has lots of fun activities, including games that encourage movement, so kids will want to keep it on. The only downsides to this watch are the weak band that you’ll probably have to replace, and the proprietary charger that comes only with the watch. No replacement chargers are available, so be sure to take good care of the one that comes with it. If you’d rather not have to worry about additional screen time, the Relay is a great alternative to a standard phone or smartwatch. 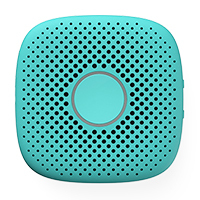 It works like a cellular walkie talkie, communicating with the Relay app on your phone or with another Relay device. All it takes is a push of a button to talk to your kids on your private channel (or for them to talk to you). You can also use the app to track the location of the device, so you’ll always know where your child is. The Relay is small enough to fit in a pocket, but you can get a case with a carabiner clip for easier portability. Relay leases cellular space from Sprint and T-Mobile, so you should make sure you get good service from at least one of those carriers in your area. Some users reported connectivity issues, especially when using one of the carriers that doesn’t work well in their area. Relay reports that new updates are coming to its system soon to let your child talk to (approved) people on other channels. With old-school T9 texting and a very basic user interface, you might feel like you’ve stepped back in time when you pick up this phone. But the phone that worked for you back in 2009 works great for kids today. The lack of fancy features gives it a long battery life, and it’s smaller and more durable than slimmer smartphones that are all screen. 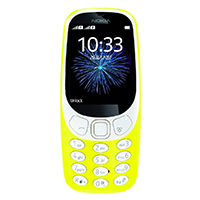 The Nokia can access the internet and social media sites, but it’s a much clunkier experience than what you’d get with a smartphone, so your child won’t be inclined to use it as much. It has useful extras like an MP3 player (though you’ll want a MicroSD card to store your music), Bluetooth connectivity, a stopwatch, countdown timer, calculator, flashlight, and voice recorder. It also has a color screen and some games that you’ll be stuck with whether you want them or not, because you can’t delete them off the phone. 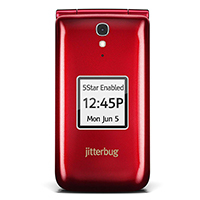 Make sure whichever service provider you go with has a strong 3G network—this phone doesn’t work on 4G networks. 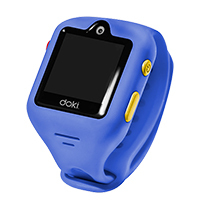 The dokiWatch has many of the same features as our top pick, the GizmoWatch, including GPS tracking, geofencing, two-way video and audio calling, text messages, and fitness tracking. The screen is smaller than the GizmoWatch, so it’s better for smaller arms, but the device can be glitchy and not always responsive to touch. Also, this smartwatch works only with AT&T. If AT&T has good coverage in your area and you like what the dokiWatch has to offer, it may be a good fit. When shopping for the right phone for your child, think about your biggest concerns. If you want to know where they are, you’ll probably want something with a GPS tracker. If your child is active and careless (what child isn’t?) then it’s important to look for a durable design. If you want to encourage them to keep their phone handy, then choosing something with fun features, like games and photo apps, is a good way to ensure they’ll keep track of it. If communication is your main concern, an inexpensive “dumb phone” will work well to teach them responsible cell phone usage before they graduate to a smartphone. As you ease your child into the world of communication technology, be sure to stay nosy. If their device has access to the internet, use parental controls and talk about what it means to be a respectful and responsible person online. Talk to them frequently about who they’re communicating with, and take time to discuss cyberbullying. It’s important to keep all lines of communication open—not just those accessed through a phone. How is the Verizon GizmoWatch different from the LG GizmoPal? The LG GizmoPal has a much larger screen than the GizmoWatch, so it’s a little too bulky for smaller children. 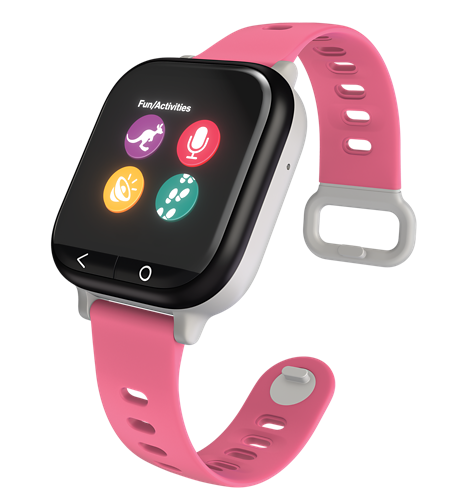 The GizmoWatch uses 4G LTE technology, so it has a faster connection than the GizmoPal’s 3G capabilities. The GizmoWatch is also more expensive than the GizmoPal. Can you put parental controls on a cell phone? Yes, you can put parental controls on your child’s cell phone using a variety of different apps. These apps can help you monitor and limit your child’s screen time, prevent your children from seeing inappropriate content, and alert you to bad language. Do wireless carriers have special cell phone plans for kids? Yes and no. Many wireless carriers have contract-free plans that are customizable, but they’re usually open to anyone, not just kids. These plans are often more budget-friendly for families and they can grow with your child. For example, if your child’s phone is for emergency purposes only, then you’ll probably need only a bare-bones plan with minimal minutes each month. As they grow, you may want to add additional minutes and data. An unlocked phone is a cell phone without a SIM card. The SIM card is the part of your phone that connects it to your mobile network. An unlocked phone comes without a SIM card so that you can use whatever carrier you like. If you buy an unlocked cell phone for your child, you can take it to your mobile network provider—like Verizon, Sprint, or AT&T—and have the phone added to your plan. To pick the best phone for kids, we considered what’s most important to us as parents and tried to find phones that were a good value, simple to use, and rugged enough to stand up to our kids. We researched numerous models and included our favorites here. Find out more about how we review products by checking out our methodology.